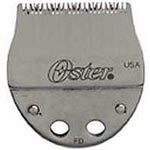 Oster Clipper Blades Finisher Pet Trimmer - Narrow is ideal for close, clean cutting. 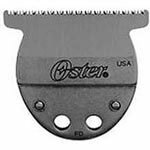 The fast-feed blade aids in precision edging and finishing work. The ’Whisper-Quiet’ pivot motor in the Oster Clipper Blades Finisher Pet Trimmer makes it ideal to use around a pet's face, ears, and neck. Also good for feet pads and poodle feet.